The research and development laboratory of INTERkrąż company, which is used in our company infrastructure since 2017, has clearly defined goals, focusing mainly on continuous development and improvement of our products, expanding the assortment offer, continuous improvement of quality and durability of manufactured elements, as well as implementation of innovative solutions in the production process. 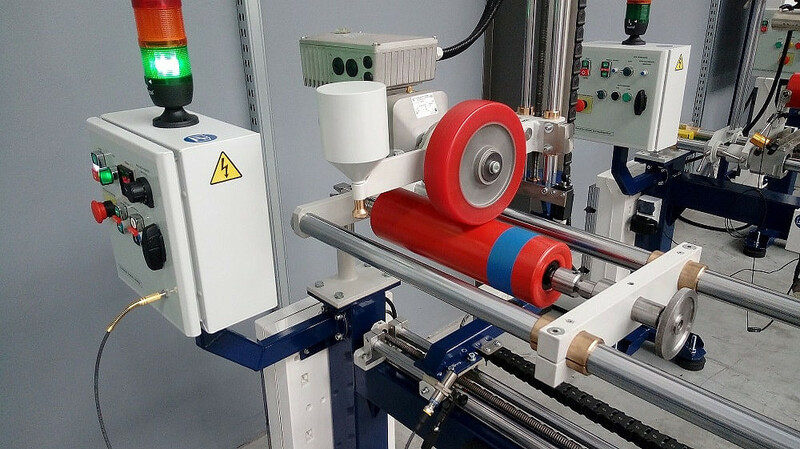 Since 2017 INTERkrąż company has a research and development laboratory for testing and quality control of rollers for belt conveyors. The laboratory realizes tests in range of requirements of both Polish standard PN-M-46606:2010 and German standard DIN 22112-3. It consists of nine high-class test stations, which due to their design allow for long-term tests and quick evaluation of selected parameters at the Customer's request. Station for initial control and checking the state of accuracy of execution. Station for running in and checking the temperature of bearing nodes. checking the static rolling resistance of the roller. Test station for radial run-out and straightness of the roller. Station for dynamic alignment control, which main purpose is to determine the size and position of the correction mass. Station for checking the roller bearing seat tightness against water. Sealing of bearings should ensure protection against water penetration from outside and inside of the roller to the inside of bearing seats and protection against negative effects of roller operation. Station for checking the roller bearing seat for dust. Sealing of bearings should ensure full protection against dust and impurities penetration from outside and inside of the roller to the inside of bearing seats and protection against negative effects of roller operation. Station for testing the axial displacement, i.e. the forces occurring during the roller operation which move the coat in parallel to the axis in the direction of their action. 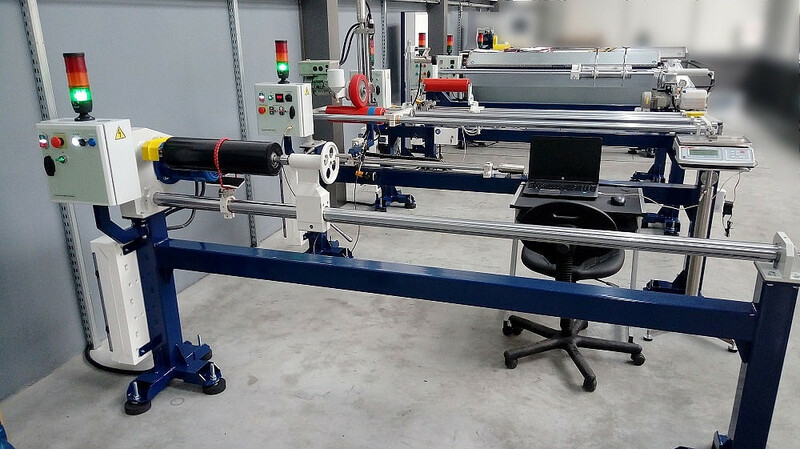 Station for roller disassembly and checking the resistance force during axle extrusion.